People of London, listen up cause you’re about to be let in on an amazing, delicious discovery. I’m always a bit cautious when seeing lots of hype around food but I can honestly say that macaroon ice-cream sandwiches are genius! Yolkin is a pop-up store that, no surprise, ‘pops up’ every weekend at various locations across London. The concept for Yolkin came about in a pretty awesome way i.e. the founder was eager to avoid food wastage when baking macaroons which only required egg whites. She wanted to ensure that she used the whole (organic) egg and realised that she could use the yolk to make ice-cream. The rest, as they say, is history! Each week, Yolkin comes up with creative and unusual flavours that have food bloggers queuing around the corner from the moment the store opens. 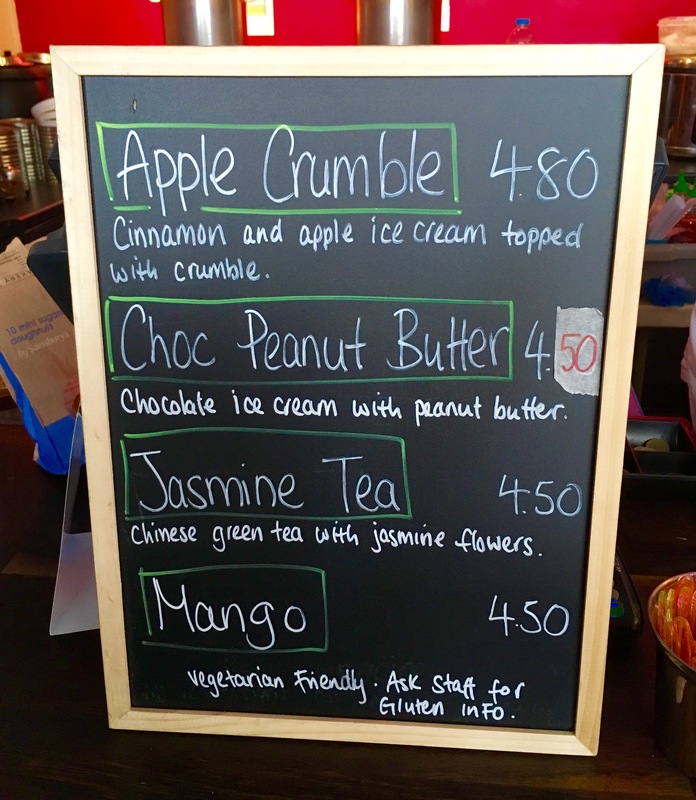 This week, we were presented with 4 flavours: apple crumble, chocolate peanut butter, jasmine tea and mango. One of the things that I love about Yolkin is that it’s not just a hyped up product. The quality of the ice-cream is amazing and you really get a sense of the flavours. 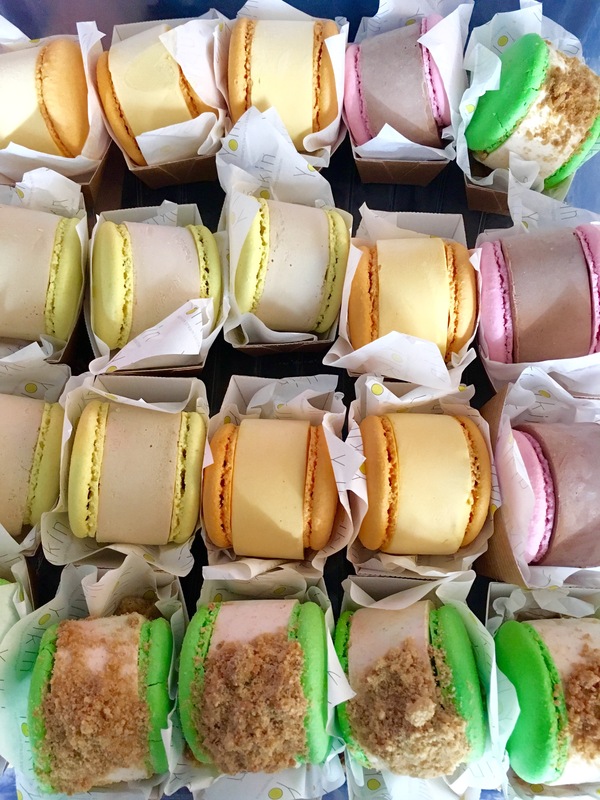 The macaroons are the perfect texture and consistency, not too soft and not too hard – the perfect chewy combo with the thick, creamy ice-cream. I’ve also tried the popcorn flavour previously and it was great! The only dilemma you’ll ever have with Yolkin is which flavour to pick! So, if you’re thinking of trying out something unusual, delicious and beautiful to look at, then head to Yolkin! But be warned, the store is only open from 12-4 every weekend and sells out fast so get there early! For more information on location and timings, click here. Previous Post G Adventures reviewed!